We’ve been invited to yet another kid’s birthday party this month. The dread increases by the day. I see disaster in my head already, wound up children, helium balloons everywhere, catching by the pool side. I never understood why adults had to be invited to children’s parties. Unfortunately, our daughter really enjoys such occasions, free food and heaps of friends to play with, what’s not to love. 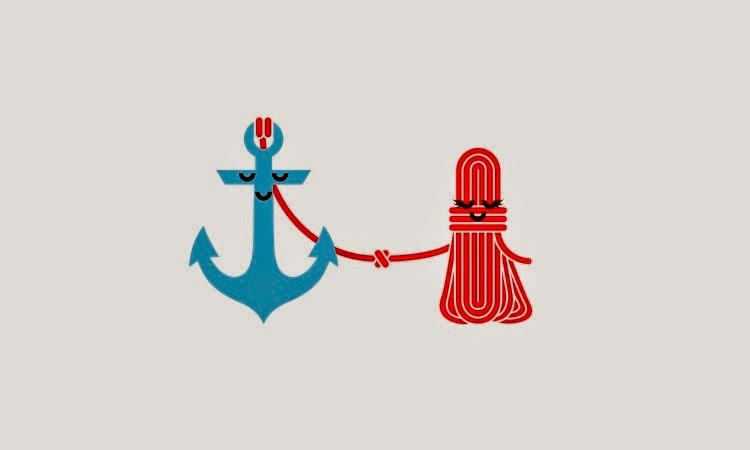 And so, we shall brace ourselves and go. There’s also the problem of getting a suitable gift. Humblet hardly plays with her toys because she’d much rather be rummaging through the recycling bin or spinning her stuffed animal friends around the washing machine. So we’ve come to realise that toys have little value in a child’s life, much less gadgets, don’t even get me started on those. This makes the problem worst because we have no idea what to get other kids. Buying books was our solution for awhile, but this was only deemed acceptable by the adults and not the young recipients, who were more than likely to toss these ‘gifts’ into their growing pile of wrapping papers while grabbing yet another victim to rip open. Then we one day, we had an epiphany when a close friend asked us to take her son out somewhere for his birthday. Truly, a light bulb moment! We’d buy these kids an experience, rather than crack our heads over what gift to buy. A complete win-win. The child gets an unforgettable fun day out, not to mention a MacDonald’s Happy Meal while the parent gets to have a break from parenting for a bit! 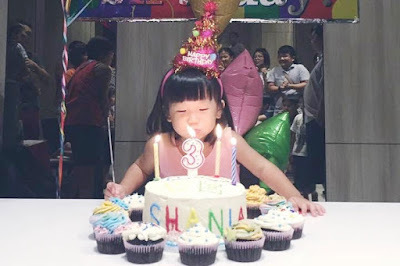 For his fifth birthday present, Shane was given three options, he could choose between the Zoo, the SEA Aquarium or the Bird Park. We were so pleased he chose the Aquarium because that was exactly where we wanted to go too! So we bought tickets and got ourselves equipped. Borrowing marine life books from the library and showing Humblet pictures of sea creatures right up to the day of our adventure. Thankfully, children under three went for free, so we only had to pay for one kid. When we arrived to pick him up, he had his little outing bag all packed. Water bottle, toy car, a change of clothes and we were off. We chose a week day and were rewarded with a relatively mild crowd that afternoon. 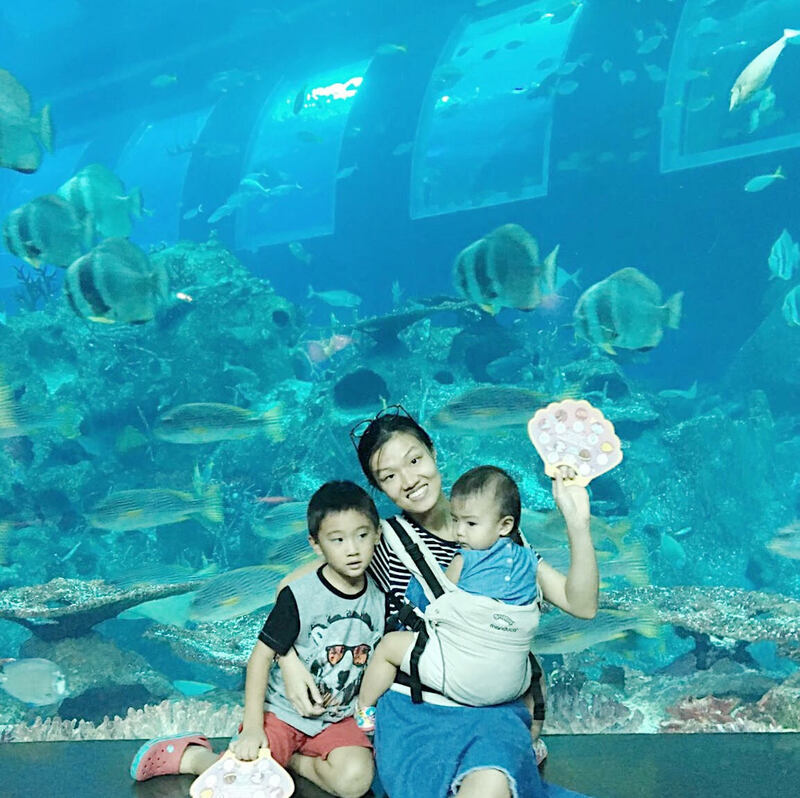 Luckily for Shane, the Aquarium was having some event for Chinese New Year and so he got a bunch of craft things and a stamp card to occupy him throughout the walk. We were a little apprehensive at first because didn’t know if we could manage two kids, but it turned out to be a wonderful day for us as a family too. Shane played the wonderful big brother, ensuring Mya had full view of the fishes, as well as excitedly pointing out certain ones he could recognise. 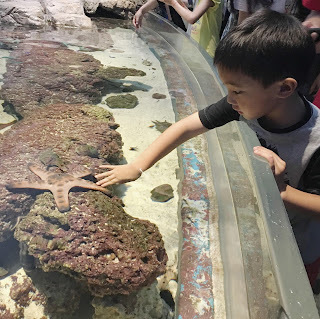 Our prior research did not go to waste, as this five-year-old wanted to know all sorts of things including – why jellyfish had no hearts, whether abalone was snail or shellfish, how sharks slept at night and so on. We were more than happy to answer his questions or point him to the right information board when we were stumped. Midway through, we took a break at the huge Viewing Gallery. The kids gratefully stuffed their faces with snacks and packet milk, while we rested our legs. 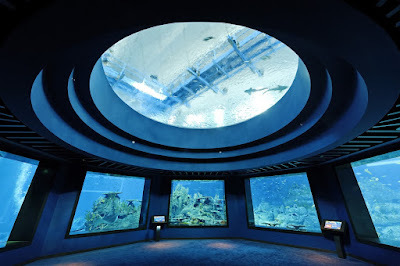 When the announcement was made for all Aquarium guests to go to the Viewing Gallery for the Chinese New Year Prosperity Show, we snuck off to the Ocean Dome. That was my favourite part of the entire trip, because we suddenly discovered that we had the whole dome to ourselves with everyone else rushing for the performance. J.G. 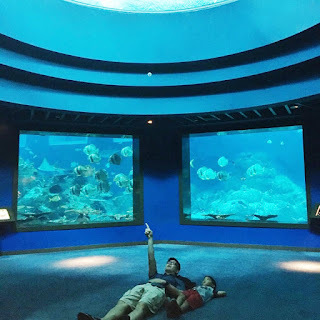 and Shane completely took advantage of the situation lying flat on their backs to enjoy the huge rays swimming overhead, while Mya and I stood on the raised platforms to look for the sharks in the tank. Hearing those words were our greatest reward that day. We’re already planning where to take him for his sixth birthday. So next time you’re wondering what to buy for a kid’s birthday, perhaps you could consider giving them an experience instead. A cycling adventure or water sports at the beach? Maybe even a trip to a museum or an interesting farm tour to feed the animals? One thing’s for sure, every child loves an adventure. Very informative article which is about the VENDING MACHINE TOY and i must bookmark it, keep posting interesting articles.